Do you believe in ghosts? I’m open to the possibility, though I don’t think I’ve ever seen one—despite my years as a ghost tour guide in an historic Pennsylvania town, and once owning a Victorian house in Philadelphia that I carefully restored. Though I’ve had more than my share of opportunities for paranormal interaction, I seem only to have fueled my imagination during my years of entertaining tourists and renovating my old house. 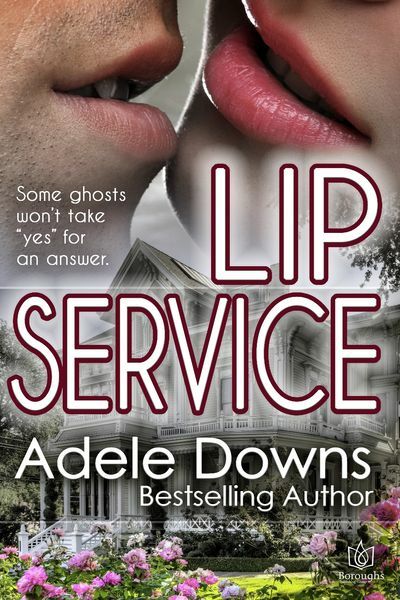 My new release, LIP SERVICE, set inside a Victorian home similar to the one I owned, was inspired by my years as a ghost tour guide—the most fun job I’ve ever had. The roar of a Harley-Davidson motorcycle on Rachel’s block and the rev of a throttle in her driveway announced Jack’s arrival. Legs tried to appear nonchalant when he walked through the poolside gate, but the sight of his sun-streaked hair and tanned, muscular good looks nearly knocked her out her seat. She eased her sunglasses down the bridge of her nose to get a better look. 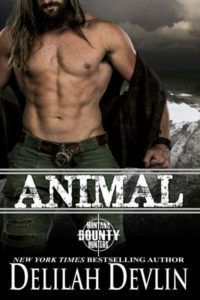 When he stepped into the pool area dressed in black jeans, black biker boots, and a white muscle shirt that framed his pumped-up shoulders and biceps, she caught her breath. Everyone in the group said “hey” and Rachel offered him a cold drink, but his focus had remained on her. He slid his sunglasses on top of his head and nodded in her direction. The invitation came out like a dare. All eyes shifted to her, watching to see what she’d do. They all knew she wasn’t allowed to date Jack Harris. Taking a ride on his motorcycle might not have been the same thing, but there would be hell to pay if her aunt found out. She stretched her arms over her head and offered a lazy smile. “I guess so.” Though she’d been as nervous and excited as a rabbit, she never let on. She stood and pulled on her shorts and shirt, slid her sandals over her feet, and made her way across the patio to him. Her aunt’s spies might see her on the road, but she pushed that worry aside. Mere weeks remained before she’d move away to college and the subject would be moot. She’d be gone most of the next four years, and by the time she got back, Jack would probably be married with a couple of kids. Half the women in town had their eyes on him and his brothers. The idea of Jack marrying someone else made her furious, and more determined than ever to enjoy this rare day alone with him. 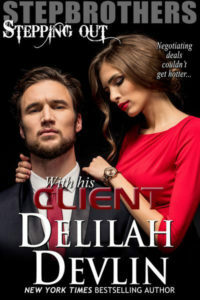 His gaze tracked every step of her approach, as if memorizing the lines and planes of her face, learning the shape of her breasts, and tattooing the curves of her waist into his brain. When she reached his side, he smiled at her so intently she almost faltered. Her heartbeat raced when he took her hand. She barely heard her friends say good-bye as they exited the patio door. His Harley was built in classic style—all black steel and leather with silver chrome, glinting majestically in the sunlight like a god. She ran her fingers over the warm plush seats. “Ever been on a bike before?” he asked, watching her with eyes so blue she almost missed his question while she stared back. She pulled an elastic band from her shorts pocket and tied her hair into a ponytail. “Uh. No.” Her hair swung with the shake of her head. He probably knew the answer, but she appreciated the benefit of his question. He hadn’t made her feel like a total geek. He gave her a tutorial with simple instructions, including the demand that she hold on to him tight and not let go. No problem there. She resisted a fit of giggles, determined to act her age and accept responsibility for her own safety, as tenuous as that might be on the rear end of a motorcycle wearing shorts and sandals. Yikes. Hormones really did rule the heart. He slid his sunglasses into place and got on the bike, steadying it with his feet while she scooted in behind him. After shifting her weight to find her center of balance, she wrapped her arms tight around his chest. The solid feel of his body thrilled her beyond anything she’d imagined. He smelled fantastic too, like musk cologne, leather, and sweat tossed with August air and sunshine. Leaning closer for support, she pressed her torso against his back and stifled a gasp at the sensations the friction created. If he never started the engine, and they simply sat together like this, it would have been enough. Adele is an active member of Romance Writers of America and her local RWA chapter where she serves as a past-president. When Adele isn’t working on her current project, she can be found riding in her convertible or reading a book on the nearest beach. Buy LIP SERVICE on Amazon!